Although the benefit is statistically obvious, industries are closing the gender gap at a snail’s pace. While many companies say gender diversity is a priority, few are delivering in meaningful ways. So what does it actually take to improve the workplace for women? 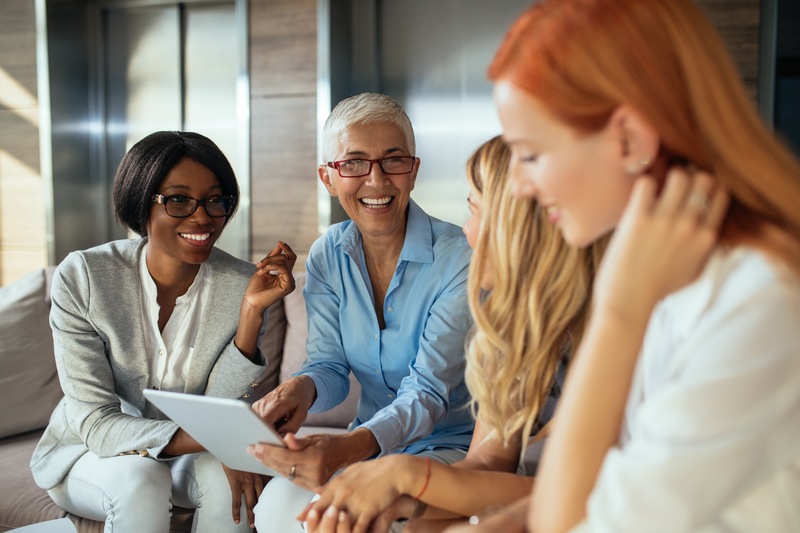 The best workplaces for women all have one thing in common: the company puts resources towards policies and initiatives that benefit women. These programs not only help those who use them but contribute towards the retention of women and benefits the company culture as a whole. The most important policies to put in place are closing gender gaps in hiring, parental leave, sexual harassment and discrimination, and equal pay policies. These policies must also go hand-in-hand with a culture that supports employees using these policies. If your culture punishes employees for using parental leave, it doesn’t matter how good the leave is. Strong maternity and parental leave policies are crucial for improving the workplace. As women are often expected to put family before career, they are more likely to leave work, especially if the maternity and parental leave is poor. The U.S. is unfortunately one of the worst countries for paid maternity leave, with only 12 weeks of unpaid leave required by law. The standard is simply not sufficient to make your workplace family-friendly. Parental leave should not just be extended towards women. Paternity leave is just as important. Treating parental leave as gender-neutral will go a long ways towards improving your retention of women, and supporting LGBT parents at your workplace. On average, women make 77.9 cents for every dollar a man makes. This pay gap is impacted by race and ethnicity, with black women making 58 cents, and Hispanic women 53 cents, white women 77 cents, and Asian women 85 cents to every dollar paid to a white man. On average, this is a combined loss of $900,000,000 every year. The wage gap does not exist because of women’s choices regarding work. The wage gap exists regardless of industry and education level, with numerous causes including discrimination and unconscious bias. Equal pay is a top priority for women and will significantly impact your acquisition of new talent and retention of women. To arrive at equal pay, there needs to be fair pay protections and policies. Wage transparency is crucial to protect women from discrimination. Companies should have a formal compensation strategy and have that information available to employees, which will both combat unconscious biases regarding women’s compensation, and protect the company from accusations of discrimination. And, everything that contributes to a better workplace for women will help close the national pay gap by keeping women in the workplace longer. While policies go a long way to creating a better workplace, hiring diversely is also crucial. Women don’t want to be the only woman in the room, and when they are, they are more likely to face discrimination, bias, and harassment. A friendly workplace for women is a gender-balanced workplace. The skew in gender representation starts at the hiring process. Women tend to only apply to jobs when they meet 100% of the qualifications, while men apply to jobs when they meet 60% or more of the qualifications. Additionally, gendered language in job descriptions can deter women from applying. A job description that eschews gendered language, and prioritizes performance over listed qualifications, will attract women candidates. Women and men are not hired and promoted at the same rate. Women hold more Bachelor degrees than men, but are less likely to land entry-level positions; and for every 100 men promoted to a manager position, only 79 women are promoted. Both men and women who hire have biases they are unaware of that make them more likely to hire a man over a woman. Since the person perpetuating these “unconscious” biases is unaware of them, it’s difficult to eliminate them without training or policies. Diversity initiatives and promotion fairness policies are needed. Creating a friendly workplace for women may seem at first to be a matter of individuals and their attitudes towards women. However, creating impactful policies helps your company in significant ways. They make your values actionable and help your company combat all the unseen biases that contribute to the diversity gaps.